Walk through the Pentagon and you're bound to come across highly skilled military or civilian employees with disabilities -- including the Defense Department's director of disability programs, who has been legally blind since age 16. "After graduating from college and university, I sought a job like most other people and I found that I could get interviews but I would never get hired or called back, possibly because I was blind," Randy Cooper told DoD News in an interview to mark National Disability Employment Awareness Month. President Barack Obama set aside October as a time to recognize the significant contributions American workers with disabilities make every day. "It's an opportunity for us to be aware of the issues and stereotypes and fears we have about people with disabilities," Cooper said, as well as to understand how the department can better recruit, train and advance those with disabilities. To that end, Cooper is leading a whole-of-DoD effort to hire more people with disabilities, including troops wounded in Iraq and Afghanistan. "In fact, the president has directed us through executive order to try and increase the number of people with targeted disabilities by up to two percent," he said. "These are people who have significant barriers to entering the work place." 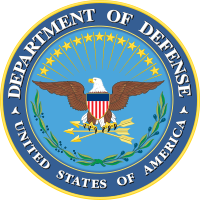 On Oct. 30, the department will host the 2014 Defense Disability Awards Ceremony. Twenty civilian employees, as well as the service components, will be recognized for their accomplishments in ensuring a barrier-free work environment. among the twenty DoD employees to be awarded the "2014 Secretary of Defense Awards for Outstanding DoD Employees and Service Members with Disabilities" will be DoDEA educator, Ms Jennifer Weber, a 5th grade teacher at Diamond ES, Fort Stewart, Georgia. One resource the department taps for hiring the disabled is a partnership with the Department of Labor called the Workforce Recruitment Program, a referral program for disabled students and recent graduates. "This past year, we had over 250 participants in the program," Cooper said. "Some of them became permanent DoD employees, which helped us meet our DoD diversity inclusion objectives." Overall, he said, the Defense Department seeks to become a model employer for the disabled. "One of our goals is to eliminate the technological, architectural and programmatic barriers that prevent individuals with significant disabilities from entering the workplace," Cooper said, and to that end the department has even established a comprehensive disability program management course for all components. "There's a great deal still today in the workplace -- myths, stereotypes and fears -- about hiring someone with a significant disability," Cooper said, noting that's one reason he took the job as the department's point man for disability programs. "It just became a logical part of who I am to advocate for people with disabilities in the context of civil rights or equal opportunity," he said.